There are gems just waiting to be discovered on YouTube, (search "althea and donna" for one of millions of examples). But if you'd rather find Kanye West uploading his stuff  in high definition, no less  then search for the user name "kwest" on Vimeo. 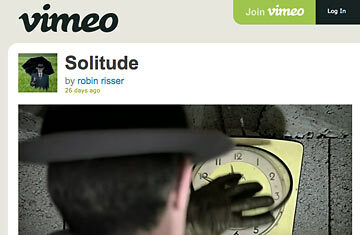 Lightly curated content and a reputation as the hangout for serious creative types keep the quality on Vimeo remarkably high.